Apple’s Photos app has undergone a serious overhaul in the past few versions of macOS. 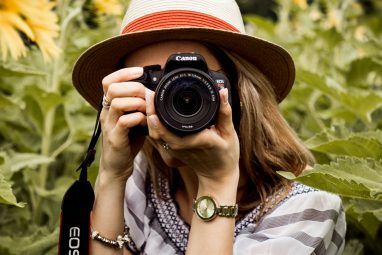 The latest version has some solid editing capabilities — enough that it makes a great replacement for Picasa The 10 Best Picasa Alternatives to Use Instead The 10 Best Picasa Alternatives to Use Instead Google replaced Picasa with Google Photos, but there are several solid Picasa alternatives worth considering. Read More . If you haven’t looked at Photos in a while (and I certainly wouldn’t blame you), it’s time to get reacquainted. Getting your photos into the app couldn’t be easier. Go to File > Import to select a folder and bring in photos. Or connect a camera or your phone to import images directly from the device. Both of these options let you review the photos before you import them, saving you the trouble of weeding out bad or duplicated photos later. You can even drag and drop photo files into the window (or dock icon) to add them to your library. 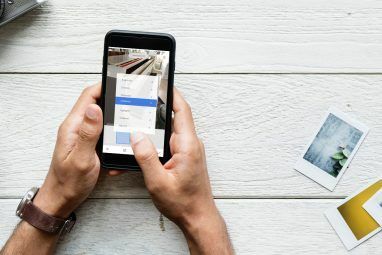 While Photos doesn’t support tags — something that might make you decide to use another app — it does make it easy to put your photos in albums to keep them organized How Should You Organize Your Photos? Try One of These 5 Methods How Should You Organize Your Photos? Try One of These 5 Methods How can you keep everything organized so you can actually find the photos you're looking for? Just use one of these five easy methods! Read More . Just hit File > New Album (or File > New Album with Selection, if you’ve already selected the photos you want), give it a name, and you have a new place to store your photos. To add photos, just select the ones you want (using Shift-click or Ctrl-click for multiples) and drag them to the folder in the sidebar. You can also create smart albums, which lets you choose specific criteria for photos that will be included. Photos then takes everything that satisfies those criteria and puts them in your new album. Managing your photo library in High Sierra is similar to previous versions of Photos. Where the new version really shines is in editing. Photos has always had some hidden editing power, but now all of the options are on full display and much easier to use. Of course, you can always hit the Auto-Enhance button to get Photos’ suggested changes. But to really see how powerful it is, you’ll need to dig a bit deeper. Across the top of the screen, you’ll see three different buttons: Adjust, Filters, and Crop. We’ll start with Crop. After clicking this button, your picture will get handles on the corners that you can drag to crop it to any size you like. If you want to keep a specific aspect ratio, just click Aspect in the right sidebar. To rotate your pictures, grab the dial on the right side of the photo and drag it up or down. In the Filters section, you can apply a small selection of filters to your photos. There aren’t as many as you’ll find in other apps 10 Sites To Add Amazing Effects To Your Photos 10 Sites To Add Amazing Effects To Your Photos In years gone by, you had to be a skilled Photoshop user if you wanted to add amazing effects to your photographs. Not anymore, just check out these 10 great web apps. Read More , but there are some nice-looking options. To see how your filtered photo compares to the original, click the Show photo without adjustments button. It’s to the left of Revert to Original, and as long as you’re holding it down, it will show the original version of your photo. Release it, and you’ll see the filtered version. In the Adjustments section, you’ll see where Photos has taken a leap forward from previous versions. Instead of three sliders, there are now thirteen options for your to choose from. And most of them have additional options that you can access, as well. The Light slider, for example, lets you increase or decrease the amount of light in the photo. But click on Options below it, and you’ll see seven additional sliders that let you adjust brilliance, exposure, highlights, shadows, brightness, contrast, and the black point independently. The Black & White slider has additional options for intensity, neutrals, tone and grain. In previous editions of macOS Photos, you’d need to enable the hidden adjustments to see things like levels, curves, and white balance. Now they’re right out in the open, and they’re really easy to play around with (and if you want to see what Photos suggests you do, just click the Auto button displayed next to the title of any section). Want to see what your photo looked like before you made a particular edit, but don’t want to undo it? Just uncheck the blue circle next to that section. Photos will remove that edit, but will remember what you did. To reinstate the edit, just check the circle again. After you’ve made a bunch of edits, you can compare your new photo to the original to make sure that it’s improved. Click the Show photo without adjustments button, but be careful not to hit Revert to Original when you’re trying to compare the two. Photos’ Red-eye correction tool is very effective, and couldn’t be simpler: just click the paint brush, then select an eye. Retouch is similarly simple; click the pain brush, option-click to select a source area, then click and drag to select the object you want to get rid of. It’s essentially a clone stamp 17 Essential Terms Every Photoshop Beginner Needs to Know 17 Essential Terms Every Photoshop Beginner Needs to Know Photoshop comes with a steep learning curve, especially with terminology. Don't worry though, we're here to help you sort your "blend modes" from your "layer masks." Read More . There are some fun effects that you can create from this section, too, like the Selective Color effect. Open this section, click the eye dropper, then select a color. Use the sliders to change that color in the photo. Once you’ve gotten the basics down (e.g. light, color, curves, levels), it won’t take long for you to get acquainted with all of the other tools Photos has to offer. Play around and see what you can do! 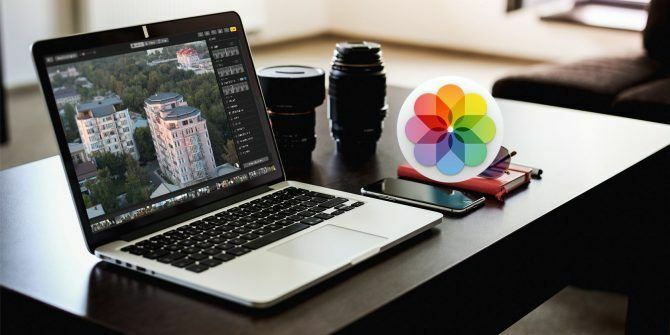 While Photos has some great editing tools, it’s not going to be able to compete with other software on raw editing power. But there’s a great solution to this problem: you can access functions from other photo-editing apps from within Photos. There are lots of apps that work directly in Photos. Click the Extensions button and select More to see apps that integrate with Photos in the App Store. Once you select an extension, you’ll get a new window that has additional controls you can use for editing. While you can seriously improve your photos using the basic controls at your disposal, there are a few things that Photos doesn’t make so obvious. Knowing these things can help you get even better images. First, you should always have the histogram visible. Go to View > Show Histogram to bring it up. The histogram can help you get better color balance in your photos (our guide to the histogram in Lightroom explains it well). This is especially useful when you’re using the Levels and Curves adjustments. In short, you want there to be color across the entire spectrum, but most of it concentrated in the middle. While most of the sliders will give you an adequate range of adjustment, you may find that sometimes you want more. Most of them go from -1.00 to +1.00. But what if you want to go higher? Just hold Option and the scales on most sliders will change. If you have a lot of photos that were taken at the same time, you may want to apply the same edits to all of them. Remembering the exact changes you made is difficult, but Photos makes it easier. Once you’ve edited a photo, click Image > Copy Adjustments. Then head to the photo you want to adjust similarly and hit Image > Paste Adjustments. All of the light, color, and other adjustments you made will be added to the new photo. 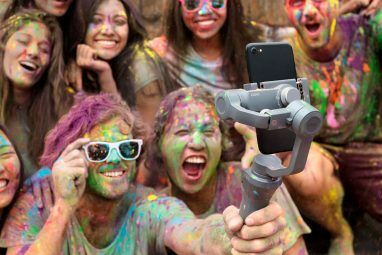 You have a lot of great options for photo-editing and photo-organizing software 5 Interesting New Photo Viewing and Editing Apps to Download 5 Interesting New Photo Viewing and Editing Apps to Download Here are five new image editing apps do most things right. They can be a serious challenge to the popular software like Photoshop and IrfanView. Read More . And it’s easy to overlook Photos, which hasn’t always been a great choice. But with the updates in High Sierra, macOS’s built-in photo management app has risen to a top option for anyone looking for a free solution. Do you use Photos? Or do you have a different preference for Mac photo management? Share your thoughts and best tips in the comments below! Explore more about: Batch Image Editing, Image Editor, macOS High Sierra, Photography.